Today, we are introducing another variety of Dosa from Karnataka cuisine named as “Neer Dosa”, which is purely prepared from rice. Basically, “neer” means water and therefore, these dosas are also called “water dosa”, as the batter is watery and not thick like the usual dosa batter. You can pair these dosas with some coconut chutney, which will definitely fit for your breakfast. 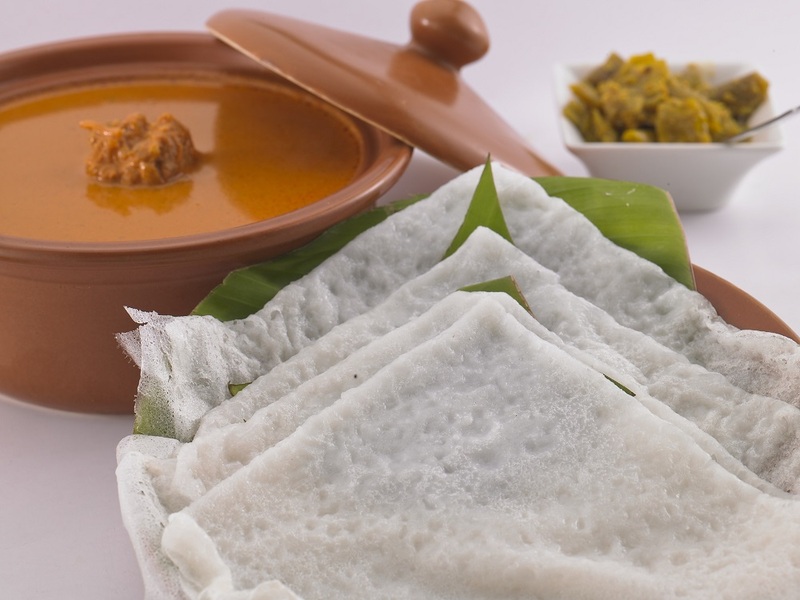 Neer Dosas are very light in the texture that you can easily munch 4 to 6 at a time. Now, talking about its preparation, it’s very easy to cook as fermentation is not required. Apart from rice, coconut is also needed, which gives the batter a good taste as well as soft texture. You can also serve it with Veg Sagu and, especially for the children, these dosas go well with coconut milk or milk sweetened with some jaggery for them. So, given below is the whole procedure of how to cook Neer Dosa, that will add a new taste during your breakfast. Immerse rice in enough water for around 4 to 5 hours in a bowl. Now, drain out the excess from the rice and add them in a wet grinder jar. Also add grated coconut along with the rice. Add a bit of water for grinding the rice in a jar. Grind the rice, until it becomes smooth batter and after that, take it out in another bowl. Add more water to the batter to get a thin flowing water consistency. The addition of water depends on the quality of rice. So, add water according to that. Now, add salt as required and stir well by using a spoon or a ladle. Spread ½ tsp of oil over the non-stick griddle (Tava) and heat it over the medium flame. Take a ladle of full batter and just pour it, moving outwards to inside, like the way we do for regular dosa. Cover it with a lid or any big bowl and cook the Neer Dosa, till it’s done. Make sure that it doesn’t become brown or flip it. Make the triangular fold on the griddle (Tava) itself. 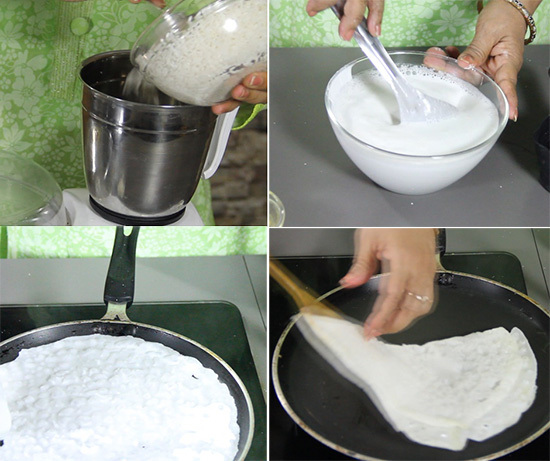 Transfer the Neer Dosa into a plate and repeat the same process for the remaining batter. I love all kinds of Dosa and this version sounds so good!